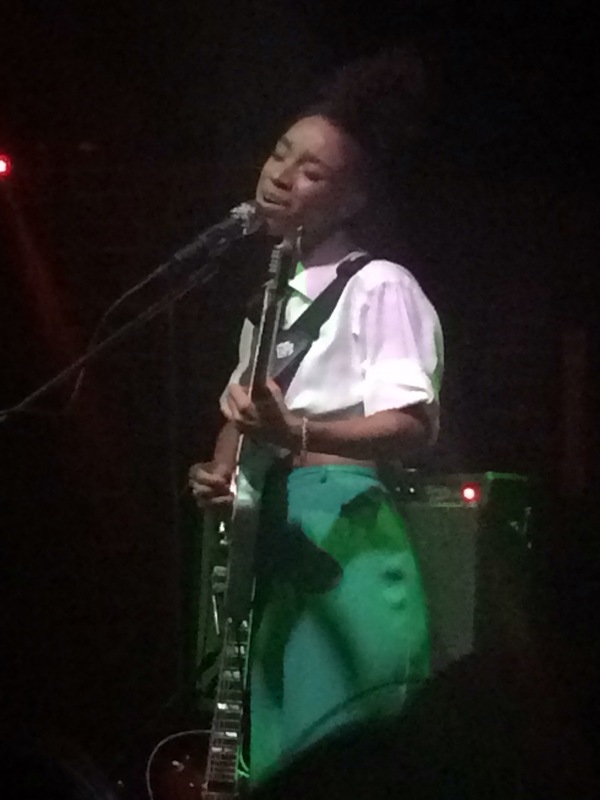 On Tuesday night I saw Lianne La Havas with my mom at The New Parish in Oakland. It’s an intimate, bare bones venue, the kind with folding chairs stacked in one corner and a well-worn couch upstairs. It was a funny place to bring your mom, filled with a lot of box braids and leather skirts and an arresting self-assuredness that made us feel a little uncool. But I liked it anyway because the DJ was good and the lights were soft and live music makes my heart glow. After about half an hour of somewhat awkward bobbing on the dance floor, Lianne came on stage, beautiful and gracious in neon green pants few people could rock. It was her first time in Oakland, and our reception made her promise to come back within moments of taking the stage. If you don’t know her, get to know her. Her velvety voice sounds like cocoa butter on a sunny afternoon would if it could vocalize. With her dulcet tones infused with R&B, soul, folk, rock, and indie-pop beats, the 26-year-old Brit has quickly become one of my favorite artists. I often play her when I’m writing because she inspires me to be kinder, bolder, and more fully myself. This concert was part of a special solo series of performances promoting her sophomore album — she normally performs with a fabulous band. On Tuesday she commanded the stage and teased the audience, responding to outbursts of ardour with quips like “I love you all…equally” and “I love you all…in a non sexual way.” The show was wonderful and communal, with the audience joining in to back her up with a stomp or some oos and aahs. Her voice is the kind that shatters your soul and soothes it at the same time–she’s getting to the core of what it’s like to be a young woman, a young person, and a person in general. She ended the night with “After Midnight,” a joyful song about doing you. “If you think I’m crazy,” she croons, “pay it no mind, you’ll never know the places I go when I’m alone.” We loved her already and told her so; she gave us a perfect show in return. She’ll be back in the Bay Area on September 23 at Berkeley’s Greek Theatre. I might have to see her again come fall, but her Tiny Desk Concert will have to tide me over until then. Shout out to my beautiful mom for being awesome and partying with me on a week night.